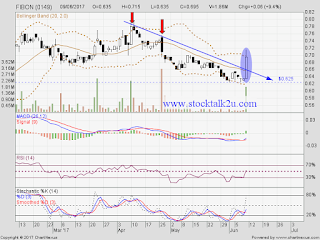 FIBON (0149) succeed breakout downtrend resistance level. Stochastic %K on BUY itinerary. 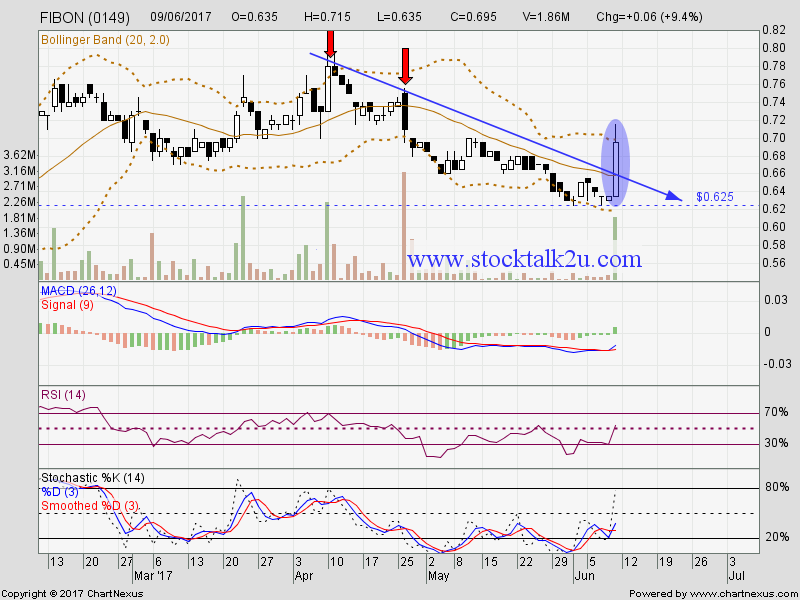 Immediate resistance @ RM0.715 level. Immediate support @ RM0.625 level. Subsequent support @ RM0.61 level.